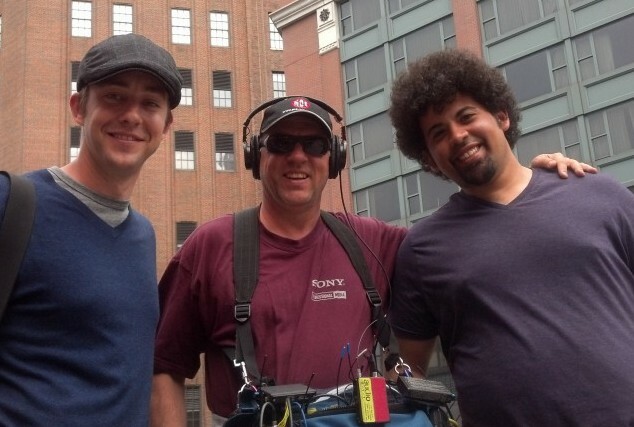 Steve Wytas of Audio 911 just came off a 5 day location job with the Adam and Diego from CITGO’s Fueling Good Road Trip. The trip started in Providence, RI and finished up in Brooklyn, NY 5 days later. The two “Fueling Good Ambassadors” were always wired for sound with Lectrosonics wireless units and Sanken COS-11 mics. A third Lectro wireless was used for additional interviews with Adam and Diego, and a Sennheiser MKH-60 was used for some random “man on the street” interviews and ambient sound. (2) Canon C-300 cameras were used and timecode locked with a Timecode Buddy system and Betso SBOX-1 unit. Wireless camera hops were Sennheiser G3 units and a client IFB feed was made possible by a Lectro LMa and a couple of Lectro R1a units. Everything was captured on the Sound Devices 664 mixer/recorder. This entry was posted in Audio 911 News on May 13, 2013 by Steve Wytas.